The 15th Annual Column Awards Gala was held Monday night at the Granville Arts Center in Garland, Texas. Brad Stephens received the trophy for Best Actor in a Play, Equity for his performance as Alan Raleigh in Circle Theatre’s 2013 production of God of Carnage. 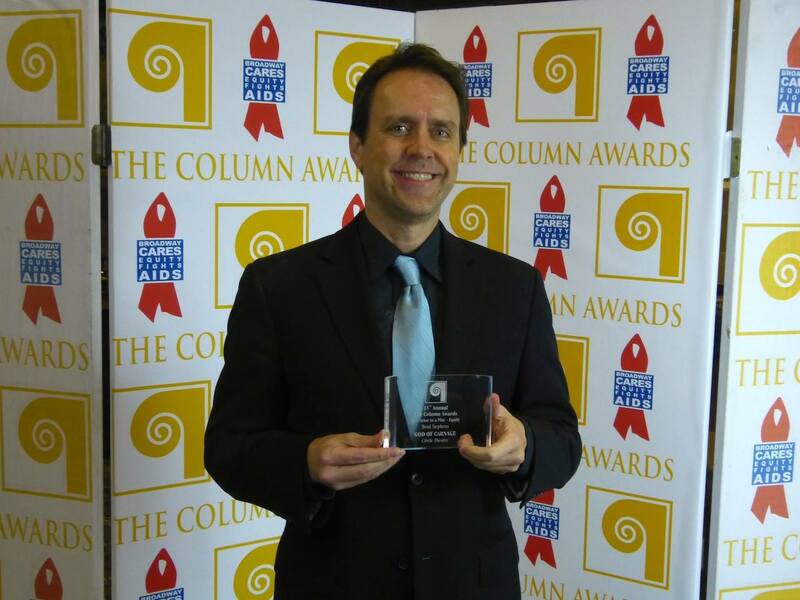 This is Stephens’ third Column Award victory. Hosted by Executive Director/Producer and Founder John Garcia with guest hostess and Broadway star Rachel York, the event brought together the entire DFW theater community to honor excellence and celebrate the theatrical arts. The Column Awards honors excellence in theater throughout the Dallas-Fort Worth theater community, both in Equity and Non-Equity theater companies. This marks their 13th year uniting and celebrating the accomplishments of all artists who bring to life the art of theater.